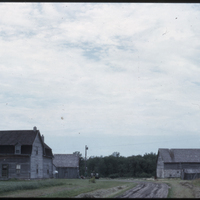 Item consists of a photographic slide with annotations including: "Transcona," "NE23-10-4E," "[rare brook? ]," "3-44," "July 9/64." 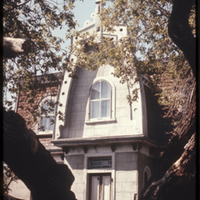 Item consists of a photographic slide with annotations including: "Plympton 2," "Edward Hudson House, 1894," "21-10-7W," "3-44." 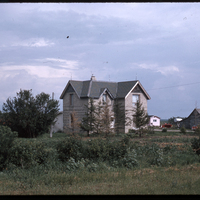 Item consists of a photographic slide with annotations including: "Dugald," "SW21-10-SE," "1894," "3-44," "July 9/64." 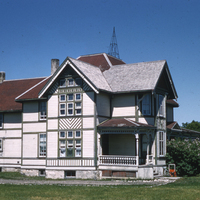 Item consists of a photographic slide with annotations including: "Plympton," "Edward Hudson House, 1894," "3-44." 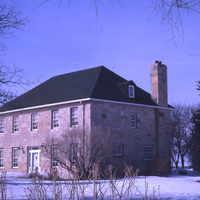 Item consists of a photographic slide with annotations including: "Inkster house, 1851," "3-55," "April/59." 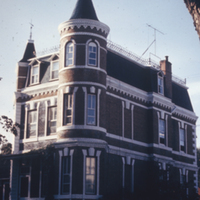 Item consists of a photographic slide with annotations including: "Winnipeg," ""The Castle," 1906, 494 College Ave.," "3-55." 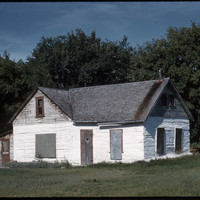 Item consists of a photographic slide with annotations including: "Poplar Point," "D.T. 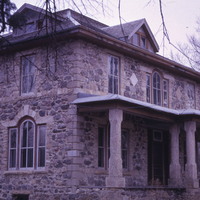 Setter's House, 1910," "Hot at night often in summer after 1 a.m., stones gives off heat, walls 42" thick," "3-44," "July/60." 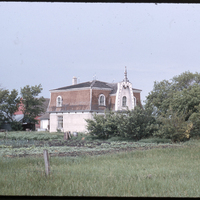 Item consists of a photographic slide with annotations including: "LaSalle, Man.," "large Fr. 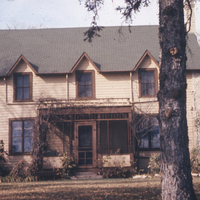 home," "3-44b," "June/60." 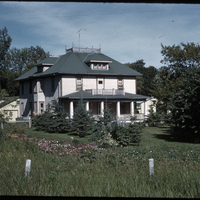 Item consists of a photographic slide with annotations including: "River road, 1967," "Captain Wm. 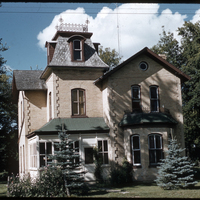 Kennedy House, c.1870," "3-44." 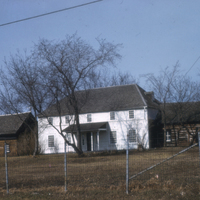 Item consists of a photographic slide with annotations including: "River road, 1853," "Miss Hay's Tea House," "3-44." 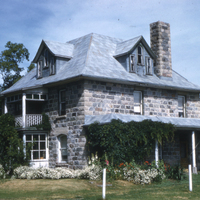 Item consists of a photographic slide with annotations including: "Westbourne," "SW23-13-8E," "[1930's style f.? 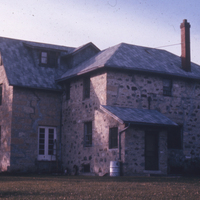 ], "3-44," "June/10/64." 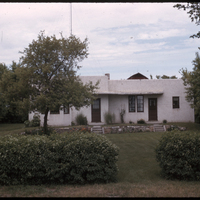 Item consists of a photographic slide with annotations including: "Portage la Prairie," "SE34-13-R8W," "3-44," "June 8/62." 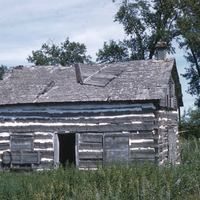 Item consists of a photographic slide with annotations including: "Sayer Creek on #14 highway," "river view farm," ""widow's walk"," "3-44," "July/60." 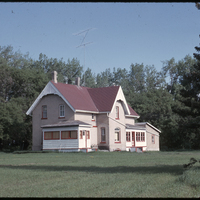 Item consists of a photographic slide with annotations including: "Pigeon Lake on #43," "house of 1890's on Assiniboine R.," "3-44," "July/60." 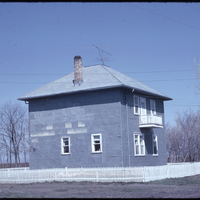 Item consists of a photographic slide with annotations including: "Silver Plains," "Lot #439," "French house built in 1926," "3-44," "May 3/1962." 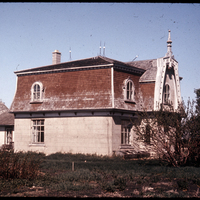 Item consists of a photographic slide with annotations including: "St. Pierre," "NE16-S-4W," "French home, 1890's," "3-44," "Jul 7/63."